CV | New Camouflage Xbox One from Aape! 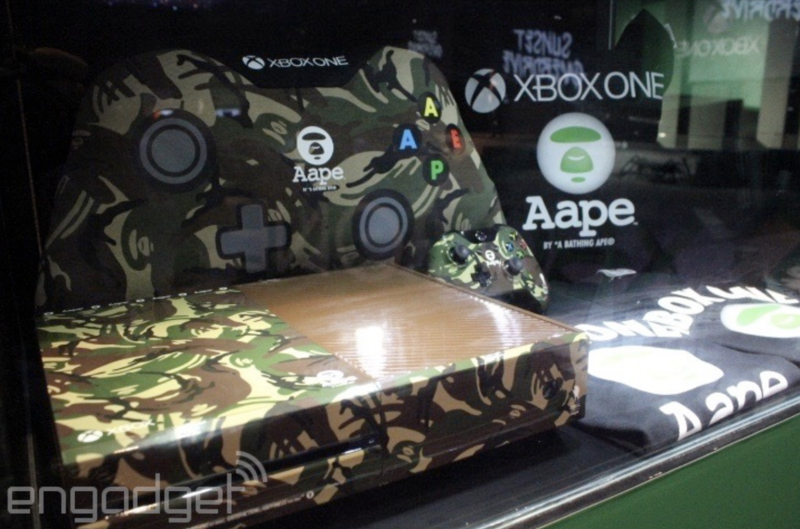 The Camouflage Xbox One from Aape! The console's theme itself goes in the direction military, camouflage and jungle. The thing that makes it unique is certainly the huge handbag that came with the bundle. Too bad most of us probably were not in China at the time. Check out the amazing images here. You can also view our details page of the console for even more info! Thanks to Engadget and Philippe from Xboxaddict for providing these amazing pictures. By the way we have 100+ Xbox One Variations on the website, not even counting Xbox one S and the X!